Learn all the ways to celebrate in this Middle Eastern metropolis. Uncover the ultimate romantic destination for adventure-seeking duos, where sun-kissed beaches meet undulating deserts and ultra-modern glitz gives way to the welcoming traditions of an ancient culture. Local Sudeshna Gosh, a travel writer who has lived in Dubai for more than a decade, reveals some of her favorite places to explore. Star in your own Arabian Nights-style escapade with a desert safari. 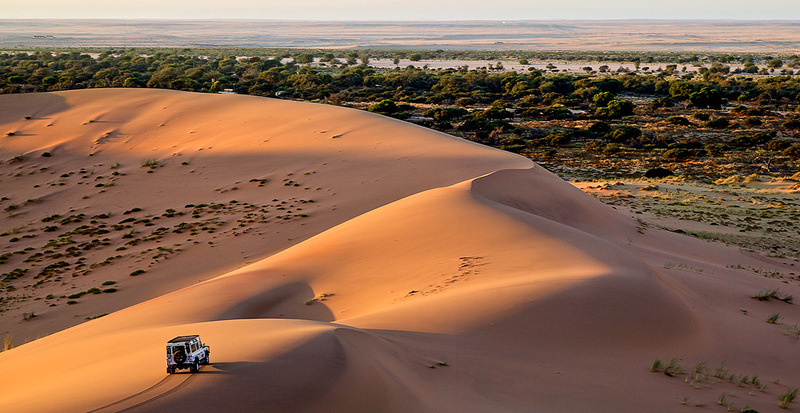 Prepare to get whisked away to the unspoiled sandy wilderness from your hotel in a luxury SUV for a spot of dune bashing to get your pulse racing (think of it as a roller-coaster ride on sand). Evening is within the comfort of a Bedouin-inspired desert camp amidst the dunes, featuring traditional low seating. Here, you can tuck into an Arabic barbecue dinner and enjoy dramatic belly dancing performances and artistic henna painting sessions. An elegant dinner-a-deux in the world’s highest restaurant is one of those meals that you’ll be reminiscing about for years to come. The gourmet modern European-style food at At.mosphere within Burj Khalifa is probably the only thing that can compete with that bird’s-eye view of the glittering city below (apart from the magic of each other’s company of course)! 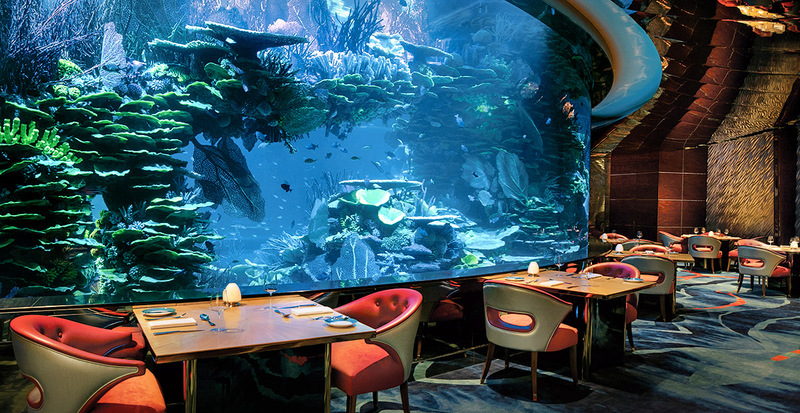 Also not to be missed is the celebrity chef-helmed Nathan Outlaw at Al Mahara, where you can indulge in seafood surrounded by marine life — with its aquarium walls, it recreates an underwater dining experience — in the uber-luxe Burj Al Arab hotel. 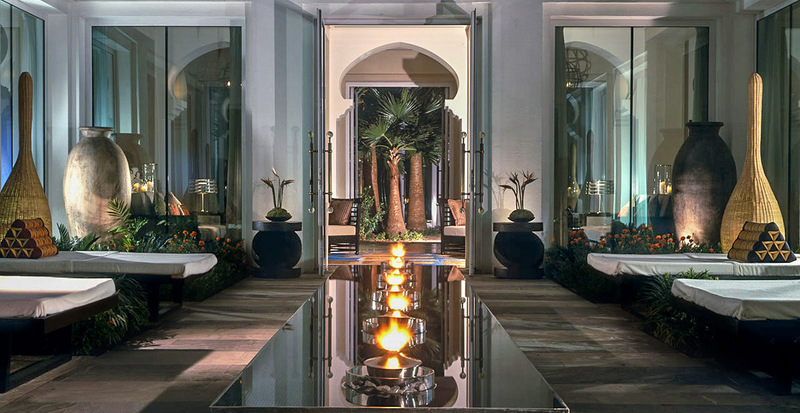 Step into the garden of Aman spa in Park Hyatt Dubai for a rose-petal ritual, followed by body scrubs wraps and healing massages — leaving you soothed and refreshed for the rest of your stay. Indian traditions permeate your treatments, where a decadent couple's ritual blends music, massage and an aromatic bath. Pair an adrenaline rush with the ultimate bragging rights as you swoosh down the slopes at Ski Dubai inside the Mall of the Emirates. For a slower-paced day, stroll around the atmospheric alleys of the Al Fahidi Historical District, popping into art galleries and courtyard cafés in historic houses with traditional wind towers. 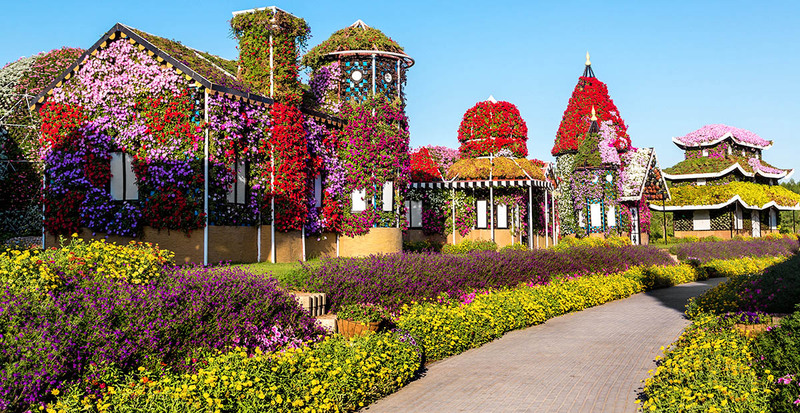 And marvel over Dubai Miracle Garden in Dubailand, where as many as 45 million blossoms create a true miracle in the desert. Create the ideal date night in vibrant Downtown Dubai, home to the imposing Dubai Mall and Burj Khalifa. The neighborhood is abuzz with cafés, restaurants and street life in the evenings, making it perfect for a leisurely walk and al fresco meal. 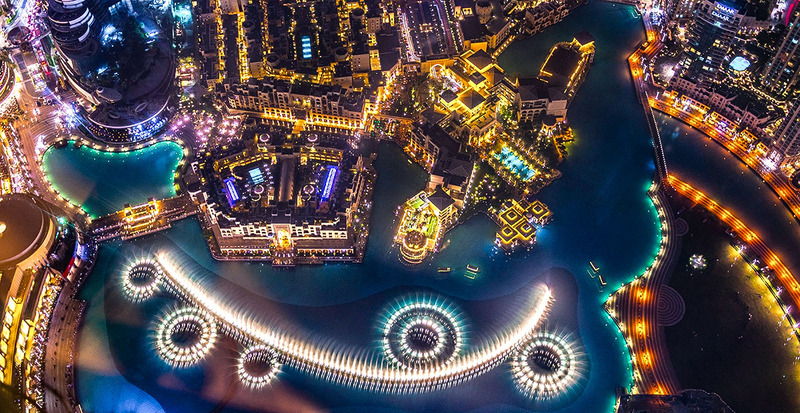 Just make sure to time it so you catch the Dubai Fountain — the world’s largest musical fountain that launches its evening display at 6 p.m. Tip: Hop on a boat that glides near the fountains for an incredible front-row perspective. The allure of Dubai lies not just in its over-the-top glamour and brag-worthy adventures but also in the quieter moments where it’s just the two of you in one of the world’s most unique destinations. 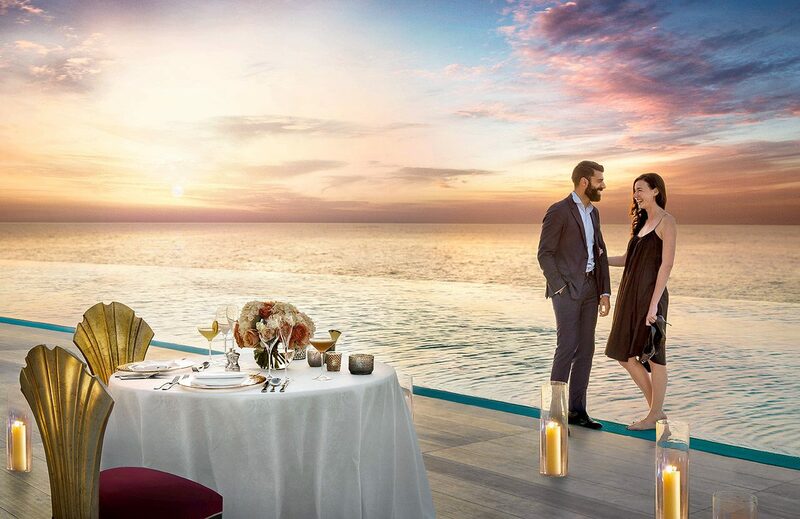 We’ll curate each special moment on your Dubai vacation. Contact us today!